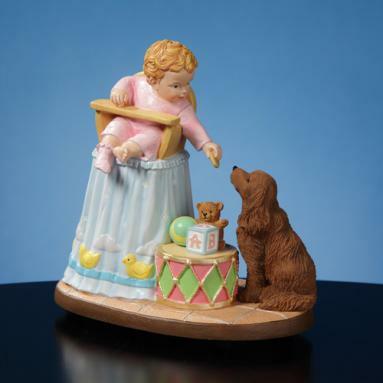 In his “American Childhood Collection” Bob Byerley expresses his nostalgic, kinder and gentler American childhood. 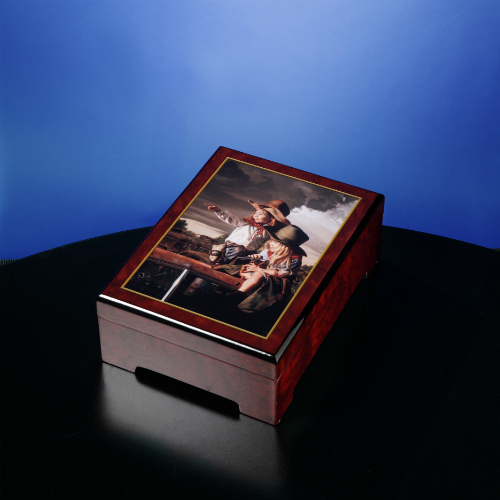 This particular item features two children playing deputies form western movies. 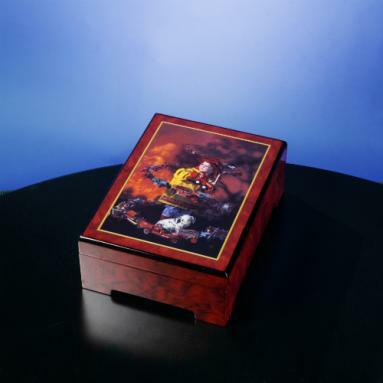 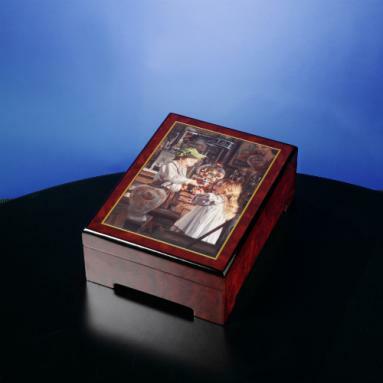 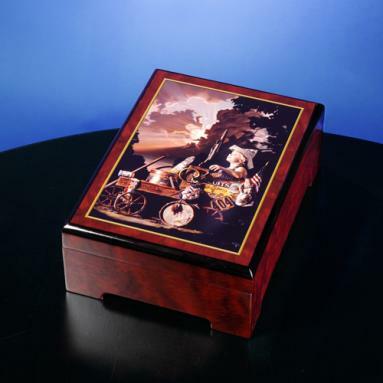 The melody used in this music box is “You and Me Against the World” by Randy Newman.